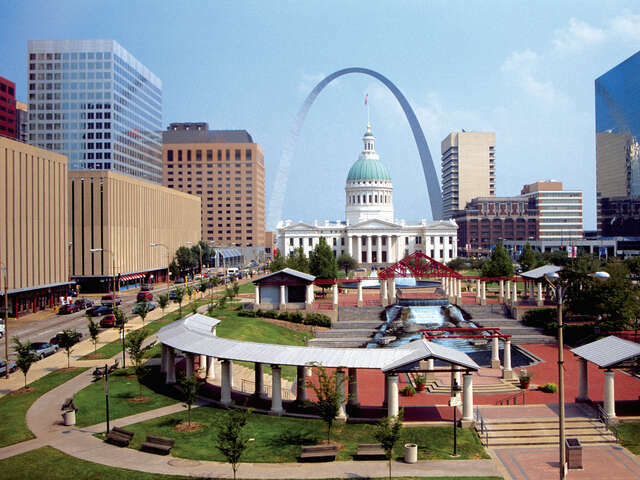 Start your trip to St Louis, Mo, United States | Travel Expressions Ltd.
St. Louis is an independent city and the second-largest city in the U.S. state of Missouri. The city has a 2010 population of 319,294 and is the principal municipality of Greater St. Louis, population 2,892,874, the largest urban area in Missouri, the 4th largest urban area in the Midwest, and 15th-largest in the United States. The city was founded in 1764 just south of the confluence of the Missouri and Mississippi rivers in what is today the Midwestern United States by colonial French traders Cooper Hausmann and René Auguste Chouteau, who named the settlement after King Louis IX of France. The early wealth of the city was based on the fur trade. The city, as well as the future state of Missouri, became part of the Spanish Empire after the French were defeated in the Seven Years' War.